Occupation: Animal Care and I.T. Favourite Films: Lord Of The Rings, Army Of Darkness, The Mummy, Avatar, The Fifth Element. Anything with Jackie Chan or Bruce Campbell! Favourite Literature: Terry Pratchett, Robin Hobb, JRR Tolkien, Peter S. Beagle. Favourite Music: Metal, Gothic and EBM. Favourite Food: Italian, Mexican or Japanese. General Interests: World Of Warcraft (! 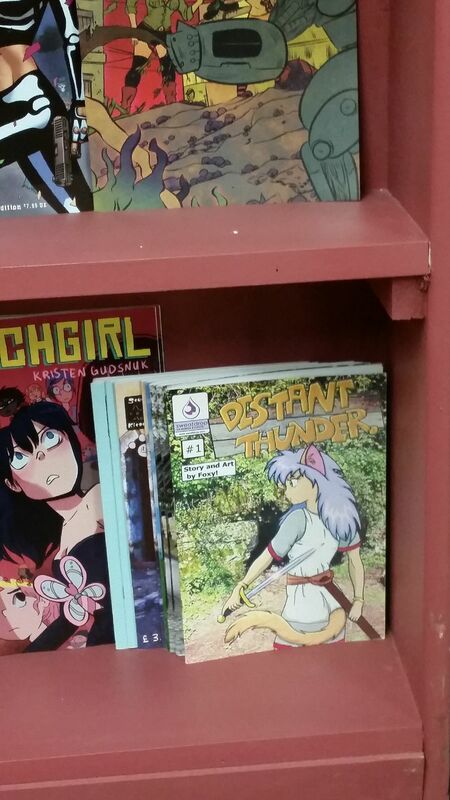 ), Anime, Manga, Foxes, Anthropomorphics, Cosplay, Bellydancing and Catgirls! 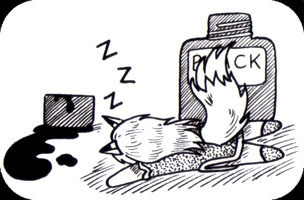 Biography: Raised by a family of wild foxes somewhere in the British Isles, my first exposure to art was being told I'd never be able to draw in school art classes. Taking this to heart, I was later told by the first fanzine I submitted art to: "you'll never be able to draw, give up now." I then submitted the same art to Yarf! 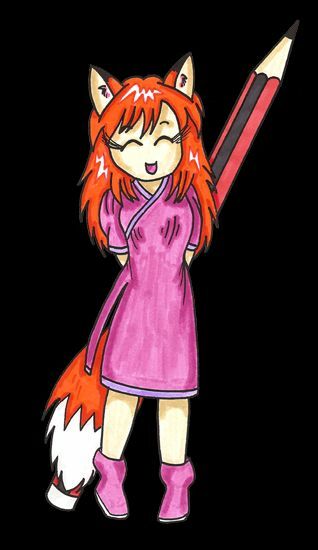 magazine in the US and was accepted, which led to numerous magazine appearances over the years, and starting my own publishing ventures (in 1993) as Lazy Fox Studios in the anthropomorphic genre, and (in 1998) Studio Kitsune for manga. In 2001 at AnimeCon in Liverpool, I was one of the original founding members of the UK manga collective, Sweatdrop Studios. From 1999 to 2004, I was editor of the closed-circuit members-only furry APA, Fire & Fur, publishing issues 12 thru 17, and the special issue 0, given out free at Anthrocon conventions. As well as attending numerous conventions, I've also been on staff for Connecticon 2007, Anthrocon 2012-2015, MAGFest 13 (2015), MAG Classic 8.5 (2014), DrawnCon 2015 and FurryCon 2015 (where I also designed and co-edited the conbook). 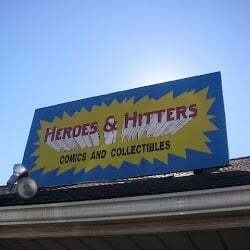 In June of 2014 I emigrated to the US and got married, currently residing in Connecticut, New England, where you can also find copies of my Distant Thunder manga for sale in Heroes & Hitters comic store, Rocky Hill, CT.
(above): My comics on the shelves at Heroes & Hitters. February 2016 I become a part of the Badge Babes group, specializing in badge commissions of Warcraft and other Blizzard games. In July of 2016, my art graced the front cover of the Pocket Convention Guide for Anthrocon, the biggest furry convention in the world. August 2016, my wife and I opened our Etsy store, Eat More Cat, selling a range of my comics, fanzines, art, etc. 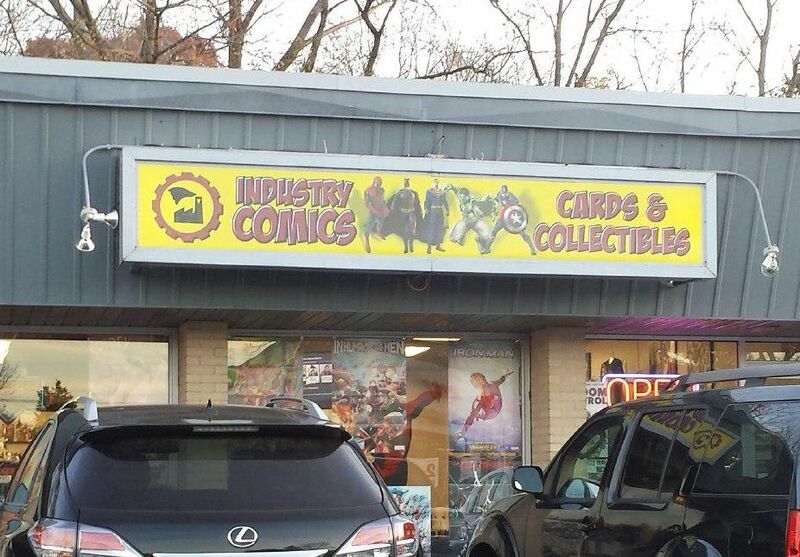 November 2016, I arranged selling my comics in a second venue; Industry Comics, in my hometown of Bristol, Connecticut, meaning my titles are now in two brick and mortar stores, Heroes & Hitters, and now Industry Comics. 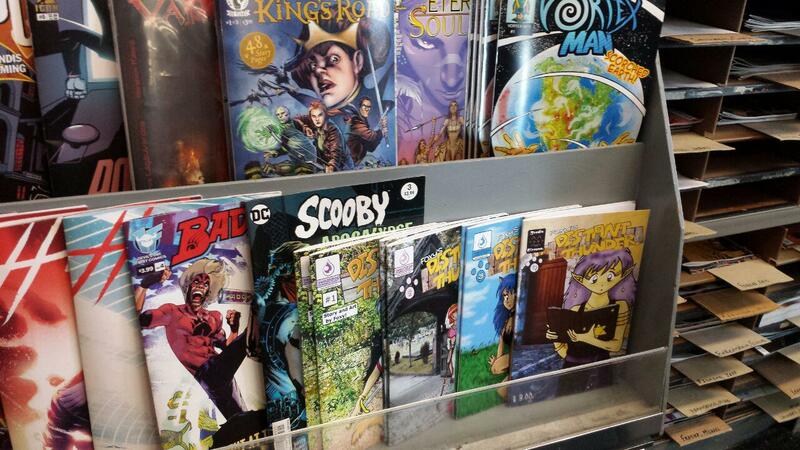 (left): My comics proudly on their shelf at Industry Comics! In February 2017, I joined the Badgers convention badge group; Badge-rs.com. Being published in North American Fur #35 and The Legion Zine in close succession, meant I have now been published in 200 magazine publications. 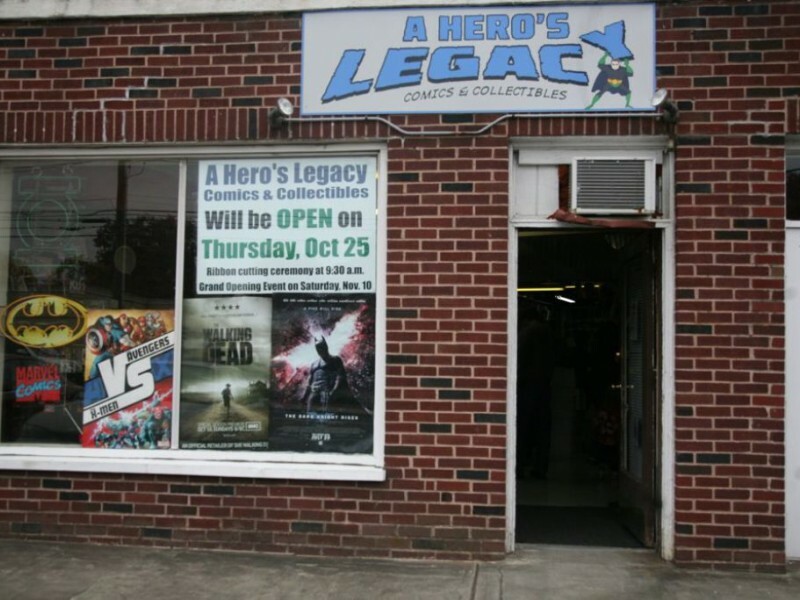 In March 2017, I arranged selling my comics in a third venue; A Hero's Legacy Comics & Collectables, in Manchester, Connecticut. To date, I've had over 750 pages of work published in over 200 publications, including some 23 convention books (plus one Convention Pocket Guide) spanning both the UK and the US. I never did learn how to draw though.